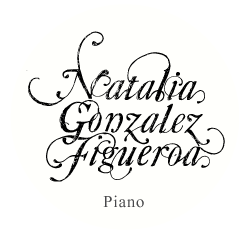 Latinamerican chamber music for voice and piano: Ana Durañona (mezzo soprano) – Natalia González Figueroa (piano). The duet was born in 2009 in Buenos Aires, and their first CD recorded in Sao Paulo, Brazil was released in 2010. Their repertoire includes music by composers from Paraguay, Brazil, Argentina, Bolivia, Perú, Colombia and Uruguay, and it is constantly expanding.